Note: Offers on the asking price may be considered. 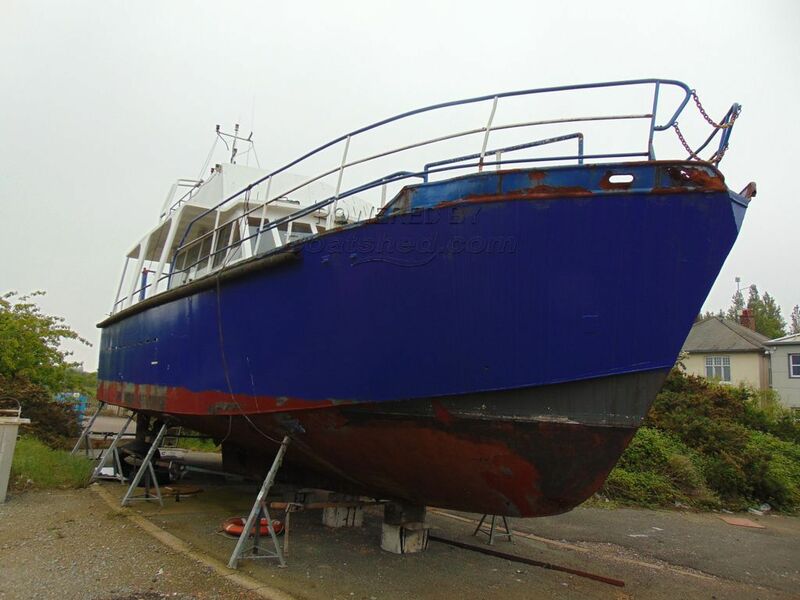 This boat is the perfect choice for a Dive Club, she requires internal refinishing but would make the perfect platform. Sleeping 8 and a shower toilet and fitted with the Perkins Sabre 215, a pair of the most distinguished powerplants known for reliability and economy. She has been operated commercially and should the customer require alterations etc, the vendor will assist. This is a great group project or for a keen individual, with her promenade deck and flybridge and large aft deckspace and bulwark access she has a lot of potential as a great cruiser. This Boden 40 has been personally photographed and viewed by a representative of Commercial Boat Sales. Click here for contact details. Please note this comments section is public. Please do not post your personal details here. To enquire about purchasing this boat, please contact the broker directly at phillipberkeley@boatshedcommercial.com. Please read our commenting guidelines before posting.